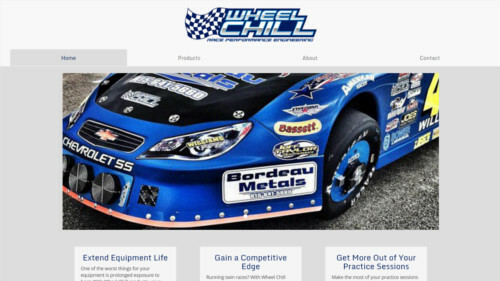 I can create mobile-responsive, static webpages to meet any specifications, from the ground up. If you require greater functionality in your website, such as object creation or database storage, I can build a web application to meet your needs. If you are unsure of what content or marketing taglines to put on your website, I can create them for you. Each website that I create receives a mobile-responsive, professional, polished look that is created around your brand image. I am currently pursuing a career in cybersecurity, but I have been doing freelance work as a web developer until then. I have multiple semesters of course-based experience with software engineering and web development. This experience includes working on Scrum teams to develop web and desktop applications using Laravel, Python, and Kivy—as well as individual web projects using ASP.NET Core. While working on these teams, I collaborated with my teammates in order to develop a mobile-responsive, social media web application and an electronic bulletin board system with an additional administrative interface. These projects have given me a great deal of front-end software development experience. The source code to these group projects can be found on my BitBucket account. I am Adam Gray, a graduate from East Tennessee State University with a Bachelor's of Science in Computing - Information Technology. I have always been passionate about cybersecurity and web design, finding myself dedicating much of my free time to the latter. Outside of computing, I have had a passion for creating music and racing since a young age. I actually began racing, myself, at eight years old and raced a Late Model Stock Car in the Nascar Whelen All-American Series until 2017 when I decided to step away from the sport in order to pursue a career in cybersecurity. Communication skills are very important in many lines of work, but especially so in Cybersecurity and Information Technology. For this reason, I have supplied examples of written works that I completed for various courses during my time in college. "The Need for Internal Firewalls"
The websites featured here were made either for clients, personal use, or a class assignment. All web applications were created using the ASP .NET Core 1.1 framework. They are hosted currently on Microsoft Azure for demonstration purposes only. The web applications are open-source and may be downloaded and run in Visual Studio or a comparable IDE, though the source code may be viewed online. This website will be available for viewing soon. 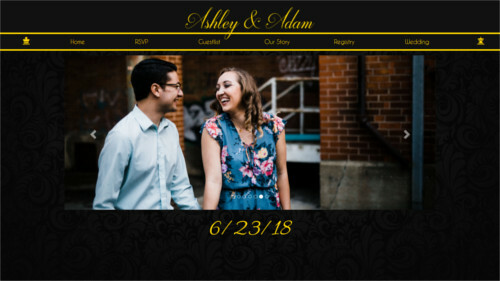 This web application was built in order to provide information about my wedding to guests. It features the ability to submit RSVPs that are stored in a database. The submitted names from the RSVPs also populate a guestlist that can be viewed by users. This web application was built as a project for an Advanced Web Design course. 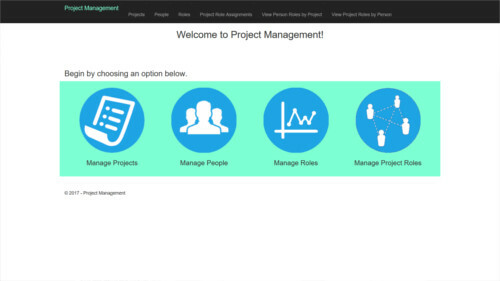 It is built for managing projects, roles, and people. All CRUD operations can be performed on these three entities, and they can all be assigned to one another. This project had very specific functionality requirements, so it focuses much more on function rather than form. If you have any inquiries about my work and/or employment of my services, please contact me at adamcgray1@gmail.com. The goal of this website is to inform potential clients and employers of my relevant skills and capabilities in web development. This site should be informative and accurate while also serving as an example of my work.